A 3600 square foot home in 3 stories with 4 bathrooms, 4 full bedrooms and a basement that also can act as a bedroom. The home uses geo-thermal heating and air conditioning. The home contains a medium-sized kitchen and has many windows facing south and overlooking the valley. 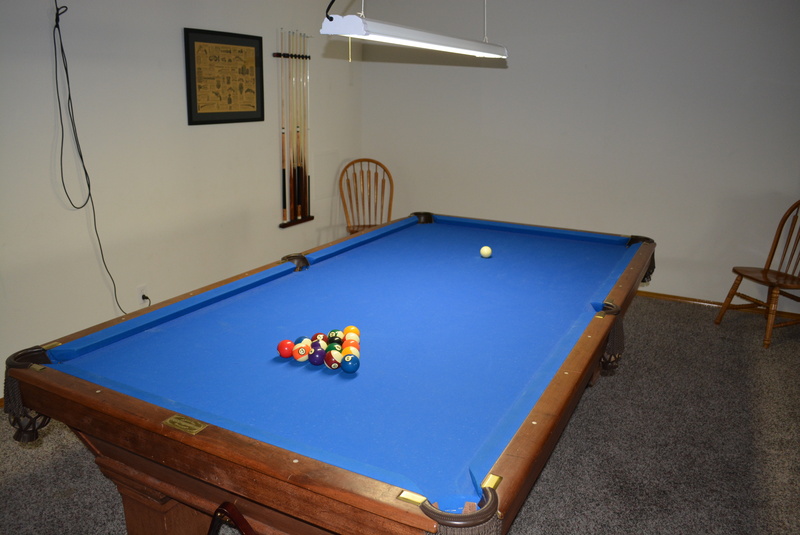 The basement sports a 9′ pool table and entertainment center with a 52″ flat screen TV for watching DVDs or playing MP3s. We also have available a PC downstairs with internet access and a full Digital Audio Workstation featuring an Alesis keyboard and Cakewalk Sonar software for creating your own music. 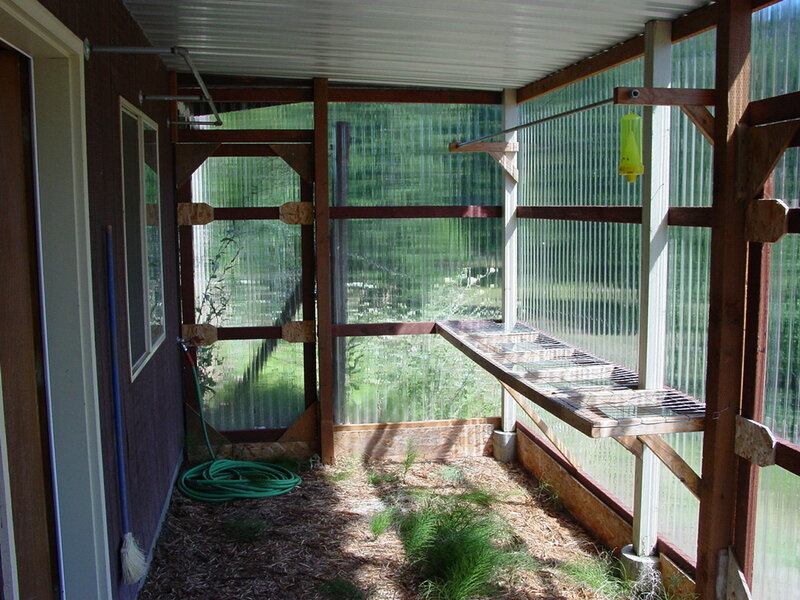 We have a small nursery built off of the basement of the main house. This is used to start our plants for our garden – not something guests will generally use but useful for classes in gardening and related subjects. 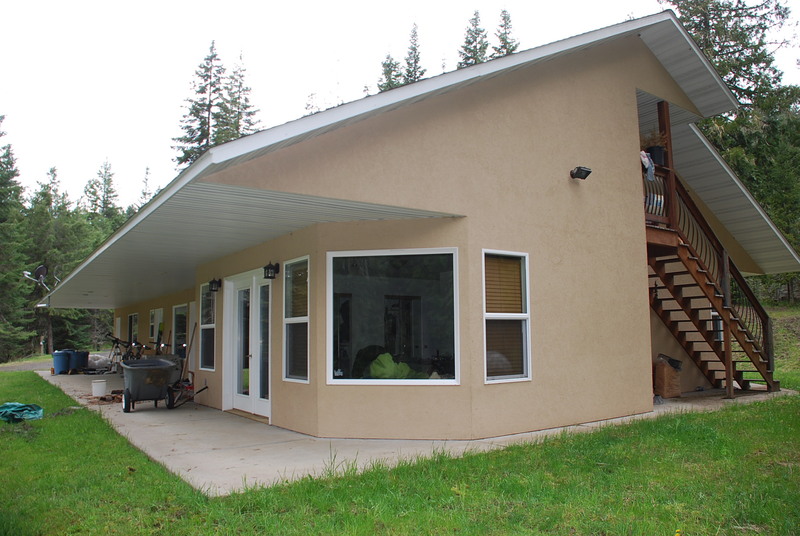 An auxiliary home of 1200 square feet with 3 full bedrooms, 2 bathrooms and is wheelchair accessible and is used primarily for housing the owners, caretakers and guests with special needs or other staff. 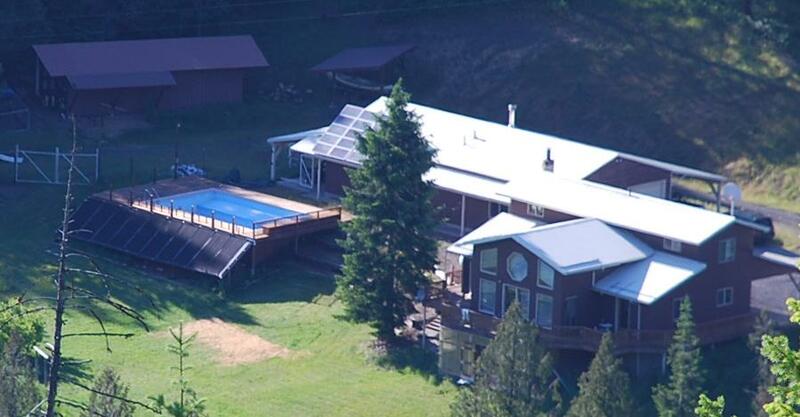 This home is located about 300 yards from the main house but out of site of it. 160 acres of land mostly timbered with grazing areas situated in a draw half-way between the towns of Kooskia and Clearwater. The area features its own micro-climate which is milder than the valley or the higher elevations beyond us. Temperatures in July-September can get into the 100s on rare occasions but is rarely much above 90 degrees Fahrenheit. In winter we usually have less than 8″ of snow on occasions with temperatures dropping into the teens on occasion. It is a mile long walk along a winding road from the main house to the place called lookout point gaining 1000 feet of altitude. 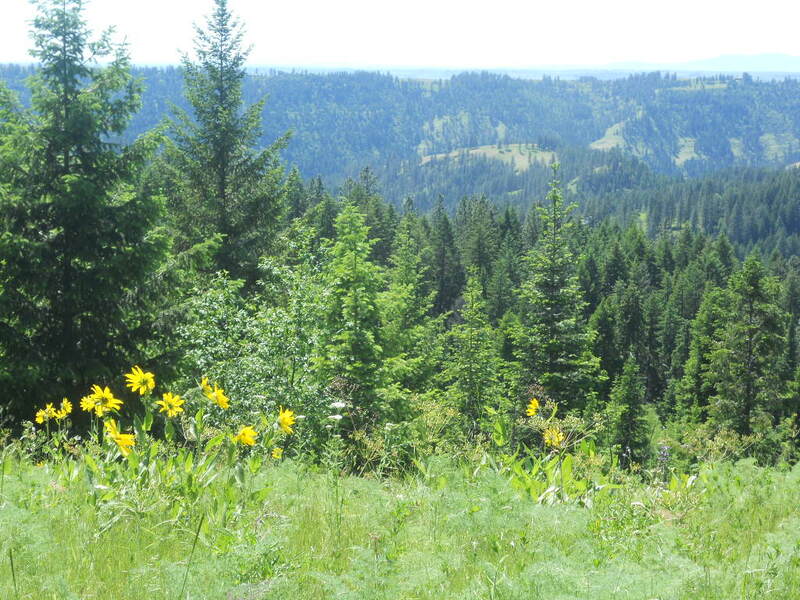 From that point a view west extends across the Camas Prairie with views of Cottonwood Butte and Mount Idaho. The property has 10 ponds of varying sizes most of which are stocked with trout and catfish. A stream runs though the property which comes out from underground at the east end of the property and eventually feeds into Clear Creek and the Clearwater River. A 200 square foot shop, heat-able by fire stove with a half bathroom. This can be used for large groups or sleeping extra people on cots – but is generally used to house the owner when guests have rented out the entire main house. The main home borders a 2 acre fenced garden which contains a small orchard, raised beds, and a large chicken run a ways from the main house – you’ll hardly know they’re there. The property is isolated allowing night views without any visible lights from off the property. The Milky Way is almost always visible at night and shooting stars are spectacular, especially in August. 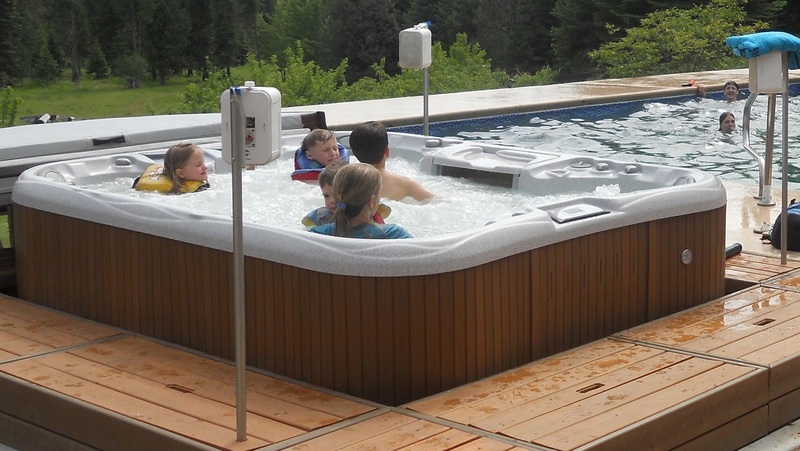 We have a solar heated swimming pool of modest size that is usable in the summer months or can be used in spring and fall for cold water hydrotherapy. The pool uses salt-water chemistry so is virtually chemical free with the exception of electrolysis activated chlorine. We have a large Sundance spa located next to the pool with a music system surrounding it. It uses a non-chlorine non-bromine chemistry for maximum health benefits. Wildlife is abundant on the ranch. 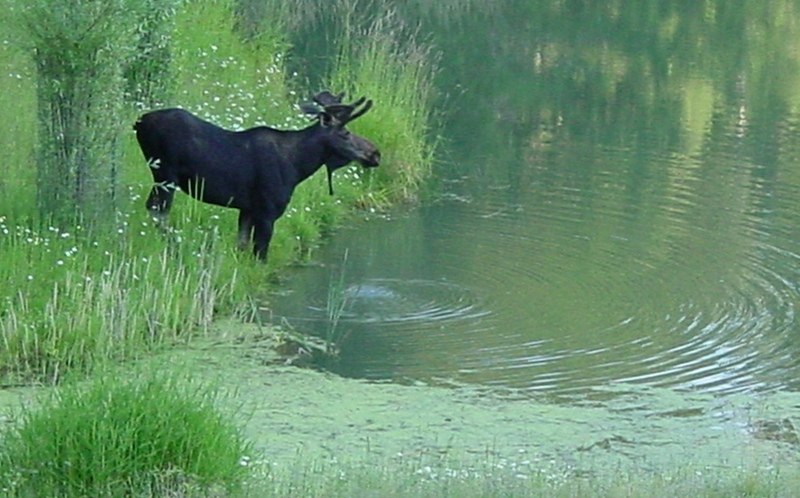 Moose are very rare but we still see wild elk, deer, pheasant, quail, turkey, geese, ducks, fish, etc. Of course there are also the occasional bear, mountain lion or wolf so appropriate precautions should be taken when exploring the property. The boys room (Bottom Right) is upstairs and contains a bunk bed and our library of interesting titles. The Girls room (Bottom Middle) currently has one twin bed and is upstairs at the opposite end of the hall from the boys room. A bathroom is off the hall between these bedrooms. The Guest room (Bottom Left) contains two twin beds and sits off the upstairs hall between the boys and girls rooms. The Master Bedroom (Top Right) is a king size bed and is on the main floor. The Basement Bed (Top Middle) is in the finished basement. We have a futon chair (Top Left) that stays in the basement and several loose queen-sized mattresses that can be comfortably used on the carpeted floors anywhere.